Waupaca has two sister cities: Hochheim, Germany and Mitoyo City, Japan. In August of 1994, in the spirit of international understanding and education, five Nio junior high students and two teachers became the first to enjoy a home stay in Waupaca. In July of 1995, a group of six students and two chaperones from Waupaca completed the first exchange by visiting Nio. Over the next two years, groups of officials visited each other in both cities. 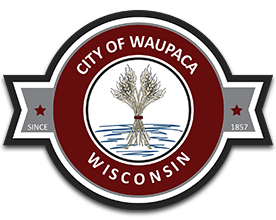 In 1994, the Waupaca Common Council adopted a resolution for a Sister City agreement with Nio. In 2006, Nio merged with six nearby cities becoming Mitoyo City and announced the continuation of the Sister City agreement with Waupaca. Waupaca also has a Sister City relationship with Hochheim, Germany, located just south and west of Frankfurt. Students from the two cities correspond by email and host student-exchanges on a regular basis.